Last Thursday we saw an example of civil disobedience in the form of the seizure of Apollo House in Dublin’s inner city. However, we saw something more. We saw concrete actions, built on top of the tireless work of homeless charities day-in day-out across the country, to provide help and accommodation to the city’s homeless. Most importantly, we saw how easy it is to provide a short to medium-term solution to this problem. We have seen an overwhelming support for this action, as well as cautious moves against it. Most striking of all is the claim from the Department of Housing that there are sufficient numbers of emergency beds for those sleeping rough. This claim simply does not stand up to scrutiny. Perhaps ten years ago, before the housing crisis, it could be claimed that those sleeping rough were ‘choosing to do so.’ However, the growing numbers of people sleeping rough on the streets of Dublin, estimated between 100 and 300 every night, put lie to this idea. The homelessness and housing crisis is multi-faceted and needs an appropriately detailed and well thought-out response. As such, the Housing Action Plan introduced by Minister Coveney should absolutely be welcomed – in the long-run there is one answer and one answer only to solve this issue; we need more social housing. 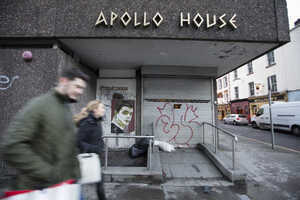 Home Sweet Home have themselves claimed they are seeking to save lives via their illegal occupation of Apollo House. This claim is far more based in reality than the claims of the Department of Housing with relation to emergency beds. This is a short-term action – and it is one that the Government could replicate easily, swiftly, safely, and cheaply. As The Irish Times reported on Saturday, 9% of Dublin dwellings lie empty this Christmas. Arguments that these are not ‘fit for purpose’ or that outfitting them to house families in the short term is too expensive or impossible have been utterly turned on their head. Mazars have rightfully and legally claimed that this occupation is illegal, and I would expect it was a tough but understandable morning’s work in their solicitors’ offices in issuing a request to vacate the building. 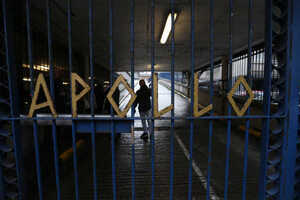 The law probably cannot permit Apollo House to remain occupied. However, there are a slew of alternative buildings open for the Government to redirect the energy and resources of this movement towards, to provide the kind of accommodation being sought. If they don’t create an alternative option which is equally as viable as that produced by Home Sweet Home they should be ashamed of both their ineptitude and callousness. If nothing else, they should provide an alternative to save some face. A group of socially conscious poets, artists, activists, and community leaders last week seized a building in Dublin’s city centre in a stand against inequality, poverty, and what they see as an out-of-touch elite. 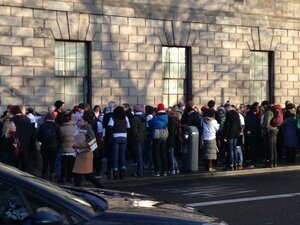 Does our government really want to be seen to stand by as these activists are turfed out of this occupied building? It’s been about 100 years since we have seen something strikingly similar happen. Make a plan, fulfil that plan, house the homeless. If they cannot do what a bunch of artists and volunteers have managed to do then perhaps they should really question their purpose to the Irish people. 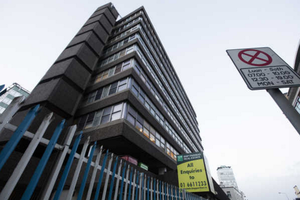 Apollo House – a vacant NAMA building now being ran as a residental unit for and by the homeless – was taken over by Home Sweet Home Eire Irish Housing Network Thursday night. It has been in the hearts and minds of people since. More then 1,500 people have applied to volunteer. Along with our continued replies to calls, emails and messages this is the place to be if you want to volunteer and support the campaign. Posted in Misc and tagged Apollo House, Home Sweet Home, public meeting at 9:54 am on December 19, 2016 by Broadsheet. “Most striking of all is the claim from the Department of Housing that there are sufficient numbers of emergency beds for those sleeping rough. What scrutiny? You didn’t scrutinise it? Simply saying it doesn’t stand up to scrutiny doesn’t make it true!! What about some numbers – going and verifying if those beds exist? What about exploring reasons why people don’t want to go to shelters (violence, drugs, alcohol etc)? What about asking if ‘institutionalisation’ is really the way to go in trying to solve this problem? While we have a FG (or even FF) majority government these types of social problems will never be solved. You forget that they are not working for ALL citizens, only those who’ll line their pockets. Start there with your “scrutiny” and see how you get on. Nobody can work for ALL citizens and keep them all happy. Different citizens have mutually exclusive wants and needs: Citizen 1 wants social housing near their mammy and family. Citizen 2 is paying a mortgage on a home and doesn’t want social housing built near them. These are both valid concerns, but the government cannot work for both. Hell, even individuals have mutually exclusive wants: “I want to pay less tax and get more services”. That’s not a valid concern. You buy a house, not the town the house is built in. Of course its a valid concern. It’s genuinely a concern for the person who knows the value of the property they bought will be effected. I don’t agree myself but it is a concern. actually, it doesn’t say that. It says mixed tenure developments wont necessarily have lower property values (it doesn’t say anything about existing houses nearby) so long as the houses are of high enough standard and the integration of varying classes of tenant is managed (ie specifically not too much privately owned rentals). There’s also a lot of “coulds” and “woulds” in there. It focuses mainly on the need for strong design and integration of different tenants – note: we’ve been terrible at this in the past in Ireland. Which is why Dublin is a socially divided city. Population needs to be mixed. Why would anyone pay €1000s a month on a mortgage to live next door to someone getting an identical house free (heavily subsidised)? 1. you get to own the property and will not be subject to a license arrangements, tenancy regulations or the various housing acts. 2. you will eventually own an asset that you can borrow on the strength of, leave to your kids etc. also, live and let live. why would you give two hoots whether or not someone was allocated a social housing unit or not? but the value of my asset will drop if the house next door was free. Then rent for the rest of your life. It’s your life, do what you want, no one is forcing you to take out a mortgage. But likewise you don’t get to force people earning less than you to live in segregated communities – all of society suffers when a place like Ballymun is left to fester. A, Social housing isn’t free. C. Why only social housing? You realise most people on the social waiting list are renting privately? Would you also favour no private renting in your area? 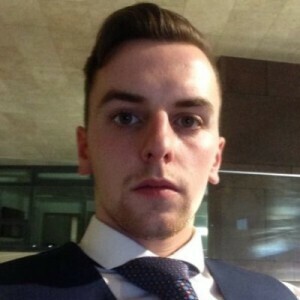 cian, the value of your house is subject far more to the vagaries of ‘the market’ than by who moves in beside you. in fact, Fianna Fail have had more influence on property prices than the worst protagonist of anti-social behaviours ever could. ” A, Social housing isn’t free. a. I know it isn’t free. my taxes are paying for it. c. I don’t want renting in my area either. Renters don’t care for the area, don’t care for the house or garden. And you can end up with anyone moving in. cian obviously sits on his front porch chewing baccy, hound at his feet, shotgun in his lap.. Landfills, high rise developments, social housing, a motorway, a nightclub etc. All valid concerns for someone who is residing somewhere. Whether they should be accepted as valid enough to prevent something happening/being built obviously requires a judgement from someone independent or expert in the area etc. But they are valid concerns. Valid to the person holding them, maybe. But planners should treat the whole “I don’t want to live near poor people” as validly as they would “I don’t want to live near black people”. Ok, so you agree they are valid concerns to some people centrally involved in the situation. Perfect. so Owen, you think “i don’t want to live near black people” is a valid concern? Yes. People generally find their own concerns valid. Yes. Something you are probably prone to yourself. Well done Starina. Clearly that’s exactly what i said. For the avoidance of doubt, no i do not think its ok for people to have that opinion. For the further avoidance of doubt, I do not think that is a comparable view to have vs not wanting to have social housing developed close to your home. Oh totes, classifying people by their level of income and by their skin colour are miiiiiles apart from each other. How do the rights of the property speculator trump any societal concern or actual harm? “one of the basic functions of a state is to ensure a reasonable level of street sanitation”? really? litter-collection? I would have though this was quite far down the list of state functions. The state needs to supply services that cannot (easily/) be provided by the individual. So the state should supply the likes of electricity, roads, water, sewage, healthcare, safety (Garda/fire services/ambulances). It really shouldn’t be in the picking up litter after people? seriously? I agree, people shouldn’t litter, most people don’t, but in a city of a million people, there will be detritus regardless – I find your bafflement regarding litter collection as a radical concept, worrying. There are countries in far more financially precarious situations in Europe that still take pride in keeping their streets clean, and not just where the tourist roam. Just look at the state of the place – it’s embarrassing. The DCC do a very good job actually. I know Summer Hill and the road into Fairview can get crappy but that’s because of dumping. Your joking right, Dublin is far from a clean city. I was born and live in Dublin and its always been a filthy kip. All the main shopping areas, dublin 8, Around Grafton street, henry street are filthy. Tourist areas also are a disgrace. I think that we (Irish) have a terrible attitude toward litter. But by making litter collection a “basic function of a state” then it absolves the individual of cleaning up after themselves. Which, in turn, enforces the ‘nanny state’ we live it. I think this is a symptom of *everything* being “someone else’s problem”. And then this means we (as a nation) lack personal responsibility for anything. Which again is reflected in our government and public service and their lack of accountability. Most Irish people take responsibility for not littering, most people realise we live in a society with other people – providing a service does not absolve any member of society of a normal responsibility, it’s like saying Accident and Emergency services exist so I am going to be as recklessly dangerous as I want…very few people do that. you are correct about breaking the cylcle though, there may be a deeper issue at hand in some stratum. City Sanitation – yes, it is a function of local government to keep the rat population down. They built culverts into medieval city streets. Rome had a sewer system. You may be coming to this late, but sanitation has been a hallmark of civilisation for several millennia. ahjayzis, I perhaps wasn’t clear. It was Kolmo that brought up litter-collection and street sanitation. For the avoidance of doubt I think that the creation and maintenance of drains within cities/towns should be a state function. a friend recently visited from the Netherlands and was baffled when she found out the state doesn’t dispose of christmas trees. she asked what do we do with the trees in january, and i told her you either pay to have them privately taken away or you dump them illegally. (if you don’t have a car) didn’t realise how ridiculous it was until she asked about it. Dun Laoghaire County Council have multiple points around the borough to recycle Christmas trees… and have done so for as long as I can remember. They do. You just have to bring them to one of their multiple collection points. still requires a car to drive it there, don’t it. Are you saying that the government won’t drop it to your house free of charge??? I am outraged sir. Homelessness is a awful and tragic but those people are trespassing. “Trespassing” in a NAMA owned (ie belonging to the people of Ireland) building that’s scheduled for demolition next year. There are toilets, kitchenettes, open plan areas and offices. It might not be perfect for accomodation, but it’s a hell of a lot better and safer than a doorway. Storm Barbara is due to hit over Christmas, the Apollo occupants will be safe from that due to them “trespassing”. Go on and try… please. There a lot of land that still belongs to a Lord living in England. Take a Christmas tree from there. He won’t mind. If you come across some of the “stuff in the national history museum (ie belonging to the people of Ireland)” that’s been placed in a skip (albeit on private property) due to be dumped, which would be of perhaps life-saving use to you, then most people would absolutely support your right to go ahead and take it. will any of that save your life? if someone injures themselves in Apollo House, who is liable? Not you, Owen, so don’t worry about that. They’re more likely to get sick, assaulted or die on the streets than sprain their ankle in Apollo House. And they’re adults, so let them make their own call on it. Yeah, my issue is that I, as a taxpayer who owns this, apparently, will actually be liable. And given our fairly easy going compo-culture, id imagine them making their own call on it won’t make a sniff of a difference when it comes to legal proceedings. Were any of the 1,500 volunteers already working with any of the other housing charities in Dublin? There is a crisis in housing, absolutely. When we have a situation where every building project is objected to by residents associations & TDs as not being suitable for their area, its not always the government that can be blamed. Example: Brid Smith TD objecting to 65 modular housing in Drimnagh applauding the Apollo house action. 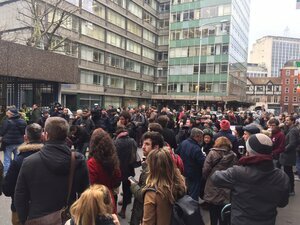 Sheltering people in a disused office block is deemed more suitable than in individual houses that could have been built by now. Very interesting thread here on the number of houses NAMA has identified for social / affordable housing. And the number rejected by local authorities. Its not all black & white. or services to those at risk of becoming homeless in Ireland. Very interesting report, thanks for that. Would you prefer if he was doing business law? Nope but it’s the title, it would of previously being called Law and Sociology or something like that. The elephant in the room is simply bureaucracy. There’s an obscene amount of money being spent on people in government departments telling other government departments that there’s no money to spend. For all the wrongs of the recession there was an opportunity intentionally missed to clean up the systems of administration in this country. Instead we got lazy hatchet jobs with blanket nonsense rules on productivity, crap like Lansdowne Rd insisting you stay by you desk for an extra half hour twice a month in the interest of producing a stat which says “we got an extra 78 trillion hours out of Civil Servants this year” Horse dung the lot of in. Sadly the culture of self interest is cemented into the were with all of Government corridors more than ever now. Too many people doing unnecessary work. If Ireland was a company it would have been wound up years ago. Sigh… rant over. Mate, I wouldn’t hold my breath on your degree if this is the standard of writing. We have a homless crisis, that much is very clear. However, we hear every day that a lot of homeless won’t use the shelters for various reasons. There have been new beds provided but it seems that the law of unintended consequuences has ruled. How is this shelter going to be any different than the official ones? Is it even insured? In fact, has anyone even stayed there yet? Your post is high on hyperbole and very very low on facts. Have a look at the link above for report on homeless services providers and the money involved. “Law and Social Justice”. A new one on me. No subjectivity or agendas there then. One wonders how many of those applauding the ‘direct action’ would be so enamored if the building was located close to where they live. Social justice my eye.. Giving houses to homeless people is just plain ridiculous. Having days that the Apollo mission is righteous and well meaning stop gap. Whether we like it or not, ireland is a capatalist meritocracy. Those who strive to work and pay into the system must be looked after first. Once workers are compensated for their endeavours via affordable housing, cheaper housing will free up for those on low wages or no wages. As it stands yuppies are living in drimnagh , manual workers are renting off a landlord class from dartry and everyone below that line is one landlords letter away from the streets. what makes the low-paid less worthy?! They earn less because they have less value to the rest of us. Basic capitalism. Lol. Future cuck for sure.